Welcome to Shore Thing Vacation Rentals! Looking for a great place to stay in Cape Meares, Netarts, or Oceanside? I would love to work with you to find the right house to fit your needs. We offer vacation rental homes that would be ideal for quick weekend getaways, family vacations, and retreats. 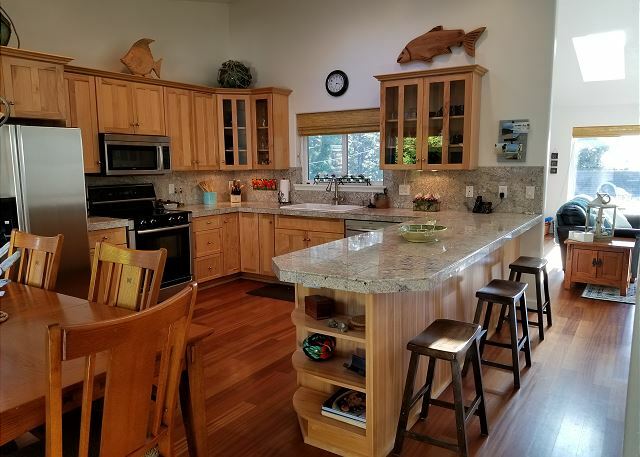 All our vacation rentals are kept pristine and all the necessary amenities are provided for you, so you can just come and relax and enjoy the beautiful Oregon coast. I live, work, and play in this area, so I will be available if you need anything or if you are wanting a local perspective on what to take advantage of while you are here. I want to offer our guests a unique and personal experience. You will talk to the same person every time you contact Shore Thing Vacation Rentals, and I will be available to you no matter what time of day. My goal is to provide you with a memorable experience and a clean, comfortable, and relaxing atmosphere. I look forward to exceeding your expectations!